Of course, all this depends on where you live and what’s available in your area. One of our editors has found higher prices at farmers markets than at grocery stores in New York. When we put the question to our Facebook followers, respondents from Ohio to Missouri to Arizona reported that farmers markets are cheaper than their local supermarkets; not a single one said the opposite. Consumers often cite quality and variety as reasons to shop locally. At least two previous studies of farmers market prices conducted in other parts of the country have also found that consumers may get a better deal by buying local. With the exception of potatoes, every organic item in a study by theNortheast Organic Farming Association of Vermont cost less on average at the farmers market than at the supermarket. A few local organic foods cost less than their non-organic supermarket counterparts as well. On the other hand, nine out of 14 conventional items were cheaper at the grocery store. 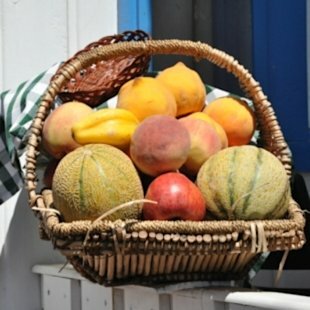 In a 2009 study, researchers at Iowa State University’s Leopold Center for Sustainable Agriculture found that a basket of conventionally grown local vegetables cost an average of $1.25 per pound, compared with $1.39 per pound for the same vegetables at retailers such as Super Walmart. A couple of caveats: All the studies cited here were conducted by supporters of local agriculture during the peak summer growing season, when prices are likely the lowest. We’ve also never been to a farmers market that lets you earn rewards points or use coupons. That said, farmers market prices have been shown to undercut grocery store prices this time of year on many items, particularly organic foods. 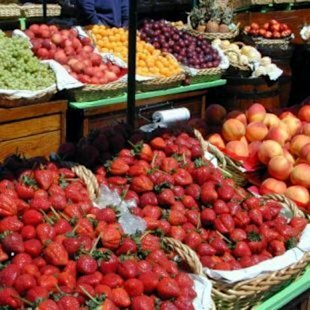 Even in cases where prices are higher, many consumers consider the quality and variety of farmers market fare a better value.